"Shimmer" Too provides you with so many more digital background papers for your card making, scrapbook layouts and mini albums. More is better...just like Christmas gifts! !ha,ha These background papers are NOT included in the FQB "Shimmer" Collection! 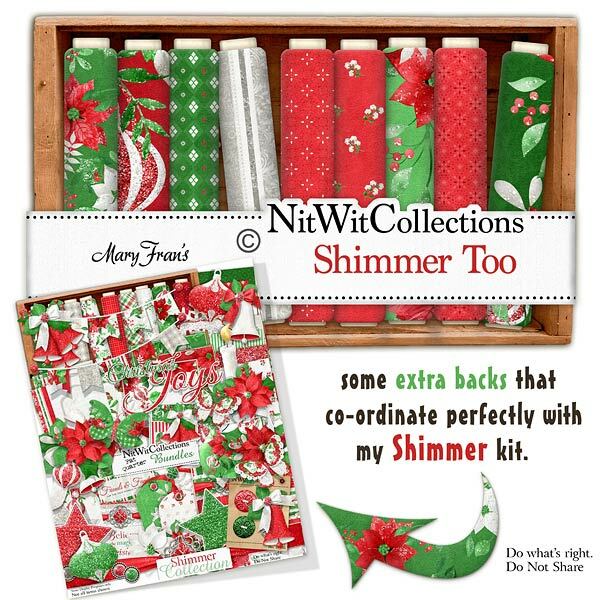 17 Digital background papers that coordinate and colour match my FQB "Shimmer" Collection. This product was added to our catalog on Thursday 12 October, 2017.